Beard comb is something that should never be absent in a beard kit. Well, if you’re thinking of growing a beard you might want to consider getting the right tools for it. If you decide to grow it thinking that it will survive without the need of using a comb or a brush, pause and read this first. Some of us may think that a comb specially made for beards is not really worth the money. Some may even consider it a novelty item. True enough, beard combs are not effective if your beard is not even an inch long. A beard brush is effective in the process of growing it though. The brush will help you sculpt or shape its direction of growth. Beard combs play a big role in maintaining the structure of your beard. Sometimes beards can be really stubborn and you will find it pointed to all sorts of direction. (yes. It happens sadly) Beard combs are handy in times like this, but it will be more effective if you use it with a beard oil. The strands of the beard are naturally coarse unlike the hair on our scalp that is naturally straight and soft. 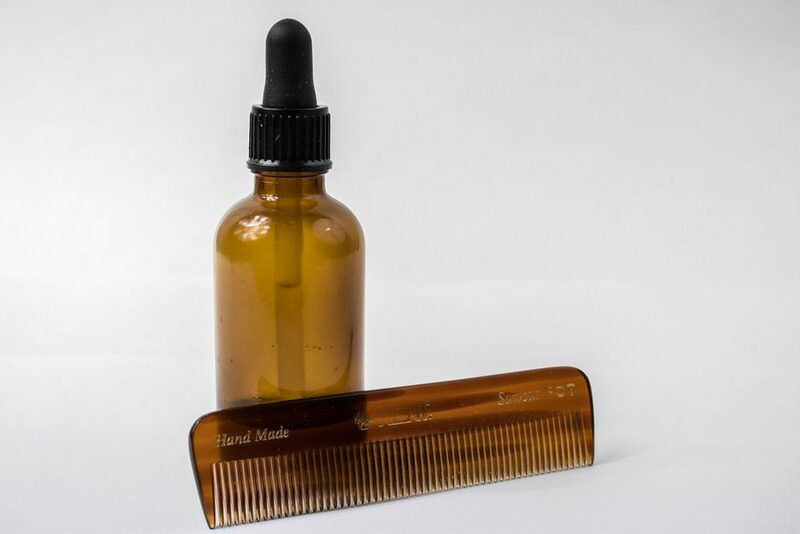 The oil will help soften the beard and the comb will spread it evenly through the strands. It also gets rid of knots and tangles as it spreads the beard oil. Know that it is better to use actual beard combs so that it will be more effective. There are also curved beard combs that can serve as a guide to perfectly shape your beard.